This dynamic collection presents a new way of writing national and global histories while developing our understanding of France in the world through short, provocative essays that range from prehistoric frescoes to Coco Chanel to the terrorist attacks of 2015. 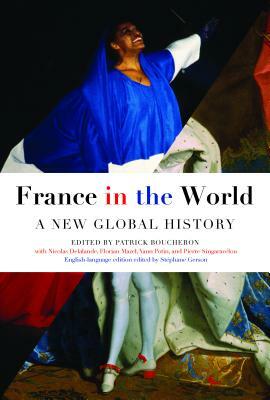 Bringing together an impressive group of established and up-and-coming historians, this bestselling history conceives of France not as a fixed, rooted entity, but instead as a place and an idea in flux, moving beyond all borders and frontiers, shaped by exchanges and mixtures. Presented in chronological order from 34,000 BC to 2015, each chapter covers a significant year from its own particular angle--the marriage of a Viking leader to a Carolingian princess proposed by Charles the Fat in 882, the Persian embassy's reception at the court of Louis XIV in 1715, the Chilean coup d'état against President Salvador Allende in 1973 that mobilized a generation of French left-wing activists. France in the World combines the intellectual rigor of an academic work with the liveliness and readability of popular history. With a brand-new preface aimed at an international audience, this English-language edition will be an essential resource for Francophiles and scholars alike. Patrick Boucheron is a French historian. He previously taught medieval history at the École normale supérieure and the University of Paris, and is currently a professor of history at the Collège de France. He is the author of twelve books and the editor of five, including France in the World, which became a bestseller in France.